InFI’s first ERP (Enterprise Resource Planning Systems) professionals’ development program for RAMCO’s RODE, 3I’s Orion and SAP practices was initiated in May 2011. Velusamy Thiruvengadam an Electrical, Electronics and Communications engineering graduate with MBA is part of the first ERP team along with other five members. The team was mentored by Ananth Nagarajan in ERP basics and SAP, PV and Maha helped the team to build their professional and communication skills. InFI organized exclusive mentoring on RODE by Ramco. Velu was deployed on couple of Ramco projects following the training. He built enough expertise and skill on RODE, which lead to Ramco’s employment. Velusamy is offered Business Analyst role at Ramco Systems. He is currently working on RODE implementations at Ramco. InFI wishes Velusamy a bright and rewarding career in ERP. Velusamy skills and expertise includes ERP, Requirements Gathering, Axapta, Gap Analysis, Functional Consulting and Client Relationships. 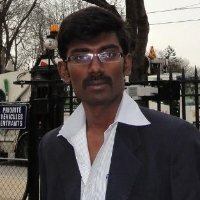 Velusamy may be reached through his eMail pbivelu@gmail.com to discuss ERP skills and opportunities.